ABC News reported that “a soldier from Niger also died from the attack” while CBS thought that “four Nigerien soldiers died,” and Stars and Stripes went with “several.” CNN’s tally was five but the New York Times didn’t mention Nigerien soldiers at all. 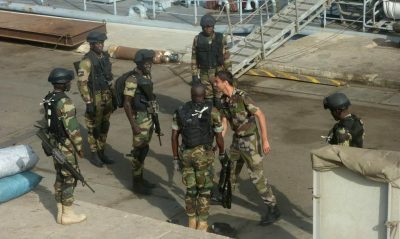 Fox News, surprisingly, said that four were killed, as did the Washington Post and the Los Angeles Times, which even expanded to record that there had been eight Nigerien soldiers wounded. The place is a war zone, and citizens of the US and Europe have little idea about what’s going on in their names — and at their expense in cash, international credibility and growing distrust and hatred of the West.